It’s in times like these, your heart yearns for what’s real, what’s profound. It’s when you feel you’re born again; you’re given a chance to live a life of harmony, a life of peace and tranquility. Yet, along the past years, we started to have mixed feelings. The holy month of Ramadan started losing its true essence. Some people think its spirituality is not here anymore. However, others maintain to preserve their annual rituals by focusing on what is beneficial. Ramadan isn’t a festival of TV shows and Entertaining Tents, it’s about purifying your soul and seeking a better life. As the Almighty ALLAH says, "Ramadan is the month during which the Quran was revealed, providing guidance for the people, clear teachings, and the statute book. Those of you who witness this month shall fast therein. Those who are ill or traveling may substitute the same number of other days. Allah wishes for you convenience, not hardship, that you may fulfill your obligations, and to glorify Allah for guiding you, and to express your appreciation." [Surat Al-Baqarah 2:185] We’re ordered to fast for a purpose, a goal; not only because we’re supposed to restrain food (which generally doesn’t happen nowadays). Ramadan helps us acquire patience, forgiveness, discipline… etc. Whoever maintains its rituals in a righteous manner, will definitely gain eternal, everlasting treasures that will facilitate him/her with authentic revenues. According to Dictionary.com, the original definition of ‘Fasting’ is to ‘firmly hold back your selfish desires’ or to feel the sense of divine evolution through ‘a firm control of oneself.’ It’s the only month of the year that you have to give more than you take. It’s when you’re obliged to sit and eat with your family on one table once again. It’s when you realize how much you miss your relatives, how your time is very much consumed by materialistic pleasures and life’s responsibilities. Ramadan is your time to think, to meditate, to freshen up, and to regain the religious essence you seem to forget through out the whole year. It’s your guide to a healthier, happier life; that’s what it is! Now, let’s review what we truly miss about Ramadan and what really makes it so special to all of us. Also, I’ll be stating the things we hate; not for the sake of demeaning anyone, but as a humble attempt to help you change. And if you’re not causing them, then you ought to spread the awareness for a greater benefit. These are just my own thoughts, whether you agree or disagree, it’s not the case. What’s real is that they exist and they ought to be shared for the benefit. Ramadan Mubarak! • Mosque Prayers: The true essence of the entire month. We choose to gather for prayers at mosques for a much greater benefit and more heavenly aims. • Reading Qura’an: Nothing is better that getting in touch those indescribable words of the All Mighty, ALLAH (swt). • Fawanees: My eternal pleasure and the first present I seek, however how old I’m becoming! • Discipline: Love it when people start taking things more seriously than they usually do. They put their hearts in everything they do, whether prayers, work, trading… etc. • Closer to God: What else can make you feel better about yourself than feeling the presence of God by your side, wherever, whenever?! It’s the ultimate feeling of happiness and self-worth. • Unity/Harmony: This is hardly found in any other month of the year. It's simply indescribable! • Kounafa: OMG, how I simply love it! Specially, when they cook it with whipped cream.. yummy! • El Mesahharaty: Our friendly neighbor next door… how can anyone forget him? Remember, when we used to call out our names for him to sing along? Those were the days my friends! • El Yameesh/Bala7 bel Laban/Atayef: Those deserts don’t declare their presence except for this month! I don’t know why, but no one seems to get enough of them. Let’s rejoice everyone! • El Madfa3: We all know how important it is, although we rarely listen to it anymore. Despite the clocks and TVs, we still can’t seem to know it’s Ramadan, unless we hear it on the radio every single day! • Charitable deeds: I have no comment on this matter, expect that I wish the whole year turns into Ramadan for it to stay. • Street Decorations: It’s everywhere and I LOVE IT! Love the colors, love the simplicity, and most of all love the paper cuts version more! • Time Management: Don’t you love how everything becomes punctual and alluring? There is time for everything; time for prayers, time for work, time for family gatherings, even time for sleep! • Begging: Enough is enough people! We’ve said it hundreds of times, please do not support those beggars. They only keep coming because you give them what they do not deserve to earn. Please help to spread the awareness, there are those who are in desperate need for your support. Please use it wisely! • Night Tents: I really can’t figure out this factor. What’s really the deal behind it? I know some friends may wanna hang out a bit and have a good time, but why do some people have to make it very disrespectful… I really can’t seem to know the reason behind this. • Traffic Jams: If there’s a will, there’s a way! Luckily, this year, I believe it was one of the most successful experiences in a very long time. You actually get to reach home in time for Iftar! I can’t seem to know what’s different this year, but what’s important is that, this problem is 50% solved! • Lack of Determination: People seem to lose their energies; they seem to lose their drive and their sense of will. 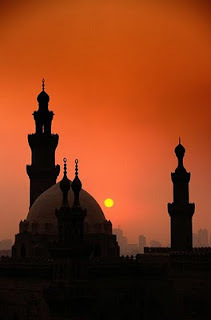 Some individuals choose to neglect Taraweeh Prayers for example, although they have time, forgetting the fact that Ramadan is all about giving, not vice versa. • Non-working Environment: At some workplaces, like governmental organizations for example, people tend to be lazy and more careless about appointments. Due to this matter, of course no one seems to get their jobs done! • TV Shows: Please give us a break, people! Remember, we still have the rest of the year to broadcast. For God’s sake, give people a chance to achieve their real goals from this holy month. After all, it a month for purification; not for entertainment adaptation. • Food Consumerism: We eat 24/7, we cook 24/7, and we think of what we’ll eat 24/7. This sense of false hunger, that we all have, has conquered us a year after a year, after a year… suffocating us till death do us part. I have nothing more to say than, WE HAVE GOT TO END IT! The aim is to control, not to give in to such illusion of starvation! Try to give away the rest of your food, you never know who’s in desperate need. • Being Nervous: If you choose to drive when Ramadan comes, then you have got to prepare yourself for an early Iftar! “EVERYONE is nervous,” or so they call themselves. • How women react at mosques: For the love of god women, behave yourselves and learn some true manners before you decide to go pray at a mosque. Do not raise your voices, do not act like you’re the greatest living creature on earth, try to wash up, and please, I beg you, dress what’s fit to this holy place. Do some homework before you go and try to actually listen to the Imam’s speech every once in a while.